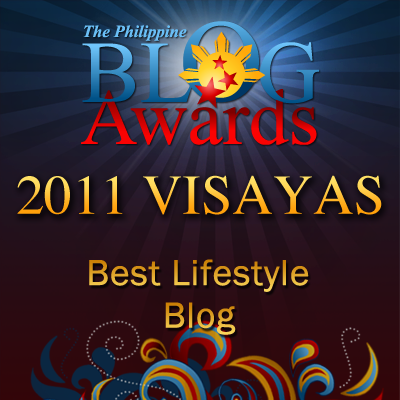 Random Thoughts of Gil Camporazo: Welcome AURING! Of course, nobody would welcome any wind disturbances especially that have intensified into a cyclone or typhoon. 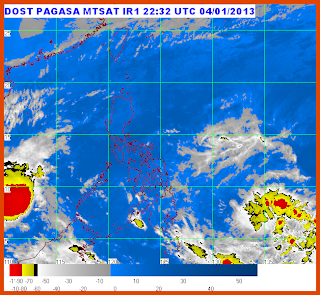 As the year 2013 has started, Auring is the first tropical storm that enters the PH area of responsibility (PAR) for this month of January 2013. In January 3, it located somewhere in western part of Dipolog City, according to the latest weather update of PH weather bureau or Philippine Atmospheric, Geographical & Astronomical Services Administration (PAGASA). As of this post, it is situated on the Southwest of Puerto Princesa City, Palawan. The name Auring was first used in 1963 by PAGASA and until this year it is the 14th time. AURING, BISING, CRISING, DANTE, EMONG, FERIA, GORIO, HUANING, ISANG, JOLINA, KIKO, LABUYO, MARING, NANDO, ONDOY, PEPENG, QUEDAN, RAMIL, SANTI, TINO, URDUJA, VINTA, WILMA, YOLANDA, and ZORAIDA. The PH is always visited by typhoon every year not less than 12 typhoons. The latest in 2012 was Quinta. So far for 2012, 17 typhoons entered the PH area of responsibility. Pablo wrought so much havoc in lives and damages to property. Typhoon Uring in 1991 was the deadliest with 5,101 to 8,000 estimated lives loss. It was followed by Typhoon in September 22, 1867 with 1,800 lives loss. Then came Winnie in 2004, which lasted for 3 days (November 27–30) with 1,593 lives loss. It was led by Pablo (December 2 -9, 2012) with estimated cost of damage to PHP36.9 billion (898 million USD). It was followed by Pepeng (October 2–10, 2009) with PHP27.3 billion (608 million USD) cost of damages, and Pedring (September 26–28, 2011) came next with PHP15 billion (333 million USD) cost of damages. Mdm Auring must be proud to have a typhoon named as hers. I wish it won't rain in Manila anytime soon--until I buy a car. Commuting in public transit is twice as hard when it rains. Gee, I wonder why Auring is that popular as a name for a Typhoon? Let us pray that this year , our country would be spared more from typhoons like Pablo. Pablo will come again for the next 4 years. So that will be in 2016 before Auring in 2017.
any typhoon is not welcome to the country... hahaha. it's really okay if they don't go near the philippines. pablo had caused enough damage already. hope auring didn't do much. may the Lord protect us all from such calamities. Yahweh bless. Napag aralan namin ito nung elementary ako kung saan galing ang mga pangalan nila at kung bakit yun ang name nila nakalimutan ko lang. One thing I've learned harshly in my several years here in the Philippines: typhoons are a dime a dozen and one or two big ones will bite us every year. Just hoping not this one as we're still recovering from Typhoon Pablo. The damage, the floods and the life lost has one thing which has been consistent year in and year out because of typhoons. It's high time we invest in better technology and allocate a budget to increase awareness in disaster prevention. I hope that our country will not experience killing typhoons anymore. If only people love the nature, then devastation won't happen. I am curious about typhoon Ondoy, hope it will not bring much damage to our country. Typhoon Feria to Labuyo ito yung mga bagyong papasok ng July na Northern Philippines ang path. Taga-Luzon watch out for these typhoons. I hope no more typhoons will come in our country. I believe we've had too much for 2012. We even reached "Q" for Quinta. May God protect our country for Auring and all other typhoons this year! May God bless our people. I never expected that a typhoon would arrive our country so soon. Though we experience a lot of typhoons year after year, our resiliency and persistence always prevail as we start a new day. Typhoon makes me SAD. Just recently, my uncle's farm and my aunit's grocery store in Agusan Del Sur were both badly damaged in the typhoon PABLO. Lets hope Auring will not be as destructive as Pablo. Wow, it's just the start of the year and Auring would want to welcome us already! I hope this typhoon would just pass by quietly, not disturbing and destroying our peace.